What contracts does the ipso facto stay apply to? Restrictions on the enforcement of ipso facto rights: In what circumstances will they apply? How can clients prepare for scenarios where ipso facto clauses cannot be enforced? Is now the time to vary or extend existing agreements? Sally maintains a broad civil and commercial litigation practice by which she has particular experience in matters concerning: joint ventures and partnerships; contract disputes; guarantees and indemnities; property law; torts (conversion and detinue); equity and trusts; insolvency and bankruptcy law; corporations and unincorporated associations law; copyright, trademarks and designs law; and consumer law. Sally provides advice and advocacy in respect to employment matters. 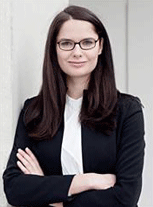 She is also experienced in running workshops on employment and industrial relations law, practice and procedure. This webinar is suitable for lawyers practising in business law – Australia wide. This webinar is for practitioners with some knowledge in this area and looking to improve their knowledge.